One of the sleek new features in version 8.3 is Hooks, a feature that allows you to bind an item’s position to a host item’s position, such that as the host’s boundary changes, the target’s position adjusts. This is useful in situations where you might want to array several text elements in a single row and as one item’s width changes, others shift proportionately, remaining in sync. Or you want certain text or shape elements to remain aligned to a host logo even when the logo is re-scaled. To have an idea of this feature, click here and load the test design. First, load your existing design for editing or create a new one in the PitchPrint admin designs page. So to create a Hook, you need a host and a target. The host controls the target. In essence, when the host’s dimension changes, the position of the target is affected. 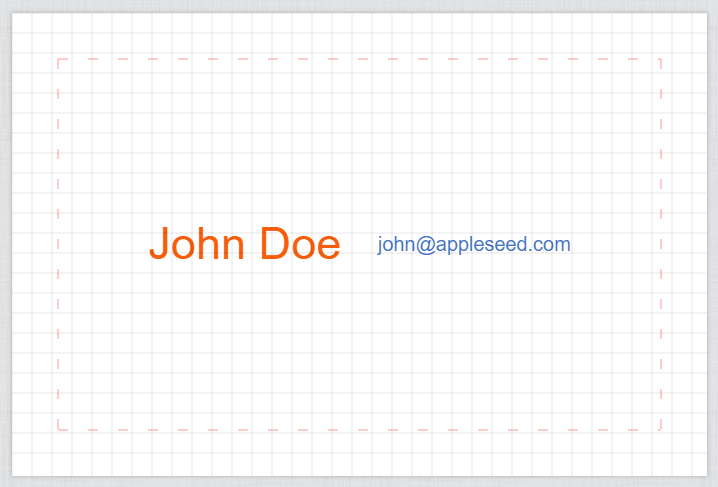 So here, the text item John Doe is the host, while the email address john@appleseed.com is the target. Let’s go ahead and click the add button (+). All other elements on the canvas are dimmed except the host, waiting for us to select a target. So we go ahead and click the email item to set that as our target. The solid purple line is the bound that will be followed. The gap is the distance between both lines and that gap will be maintained at all times when the host’s bounds changes. You can adjust the gap by freely moving the target; the last known gap will be used. 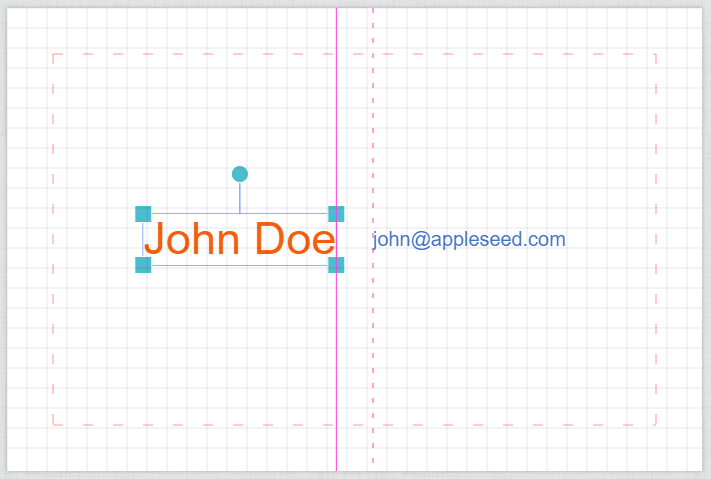 Now when you edit John Doe, the email adjusts to maintain the gap between both; same thing when you scale or move John Doe. This applies to images and shapes as well. So get your gloves on and try out some interesting hooks. Remember, you can set hooks for top, right, bottom and left of the host. Just follow the simple rule, the dashed line will move to maintain the gap between it and the solid line when the host bound changes.